Thursday night (October 25th), the Dining Commons turned into a bustling nexus of excitement and culture. From 5 to 7 P.M., the DC was transformed into an extremely small replica of Latin American countries, including Brazil, Costa Rica, Honduras, the Dominican Republic, Mexico, Guatemala, and Chile. 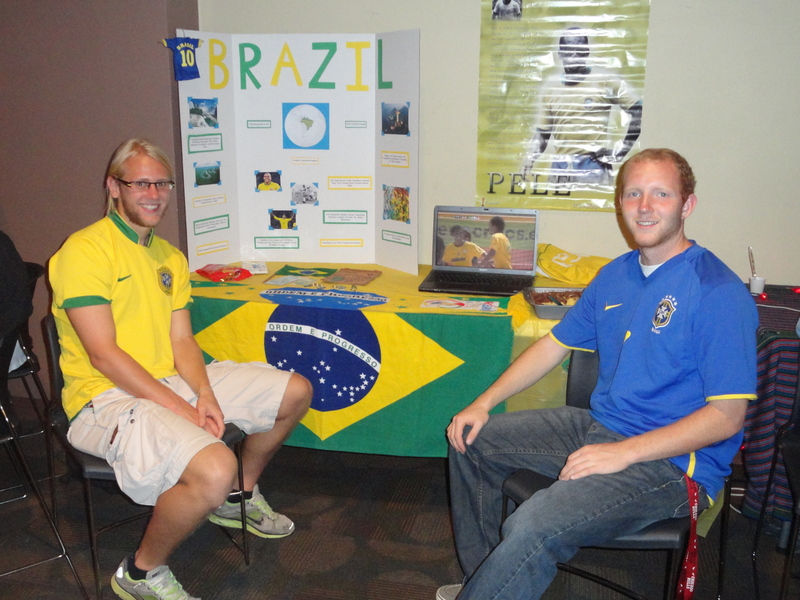 The annual event was sponsored by the Inter-Cultural Affairs Board, the History/Political Science Department, and Dr. Richard Huston’s Latin America class. Students in the class had been preparing for the event for weeks, pouring time and effort into engaging displays of twelve countries. 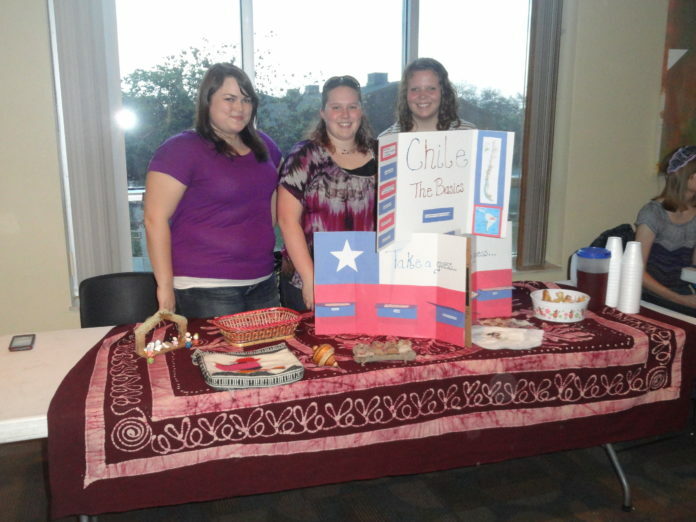 Each display table was as unique as the countries they represented and included artifacts from the countries, poster boards and slideshows, and local food and drink, like coffee, pineapple, and candies. Some students even dressed up in clothing worn in the countries displayed. The displays were not only educational, but eye-popping and engaging; those involved must have been extremely proud of their hard work. The DC served an enriching and truly authentic meal of various Latin American foods, adding onto the already heightened sense of culture. Students were not the only ones drawn to the Hispanic Festival; several faculty and administrative members joined in on the evening’s fun. Not only were the senses of sight and taste appeased, but sound was as well. Herman Semidey and Master Percussion performed soothing and rhythmic Latin American tunes, completing the ambiance of truly being in a mini-Latin America. The addition of Herman Semidey and Master Percussion was truly magical and transformed the evening from great to genuinely believable. When asked why the festival was so important to continue year after year, Huston paused a moment, then said, “Having a passport with many stamps is an increasing sign of an educated person. For those who can’t travel, this (the festival) is a chance to bring Latin America to Greenville. It is rich because it draws on student’s experiences who have traveled, or know somebody who has traveled, to these countries.” No truer words were spoken that night. What gives the festival such an allure was its authenticity the active interest of each group in the country they were displaying. Huston went on to say that the key “pillars of support” for the festival were, “the displays, the meal, and the variety of the band”. However, the variety does not extend to the band alone. While Herman Semidey and Master Percussion have graced the Hispanic Festival in the past, the event prides itself in differentiation of the meal served and the music provided. 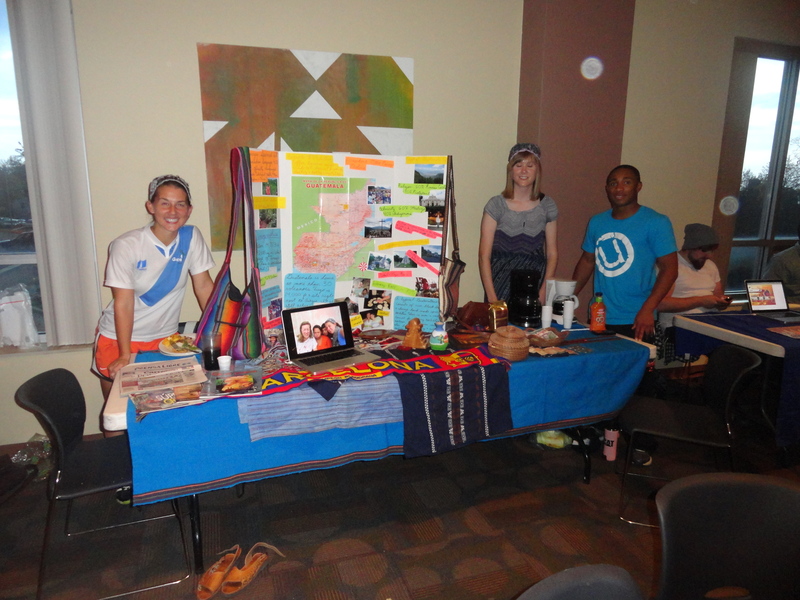 Overall, the Hispanic Festival lived up to its name of being one of the premier events on campus by appealing to the senses on several levels while being educational and engaging. 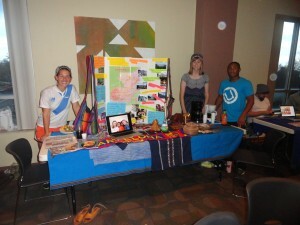 All of those involved did an excellent job in bringing Latin America to Greenville.